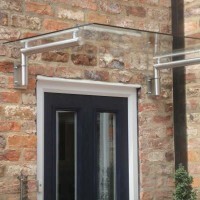 Real glass door canopy. 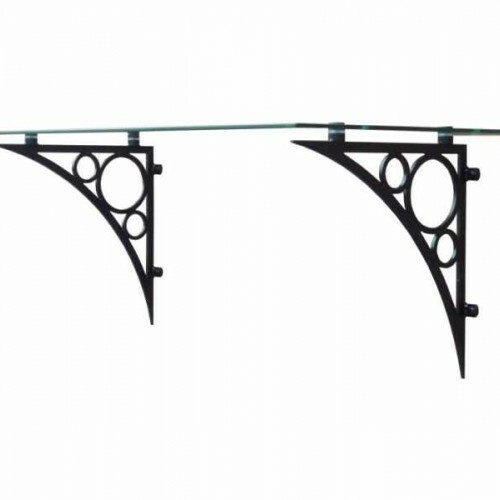 The canopy is made with powdercoated steel brackets and 8mm toughened safety glass. 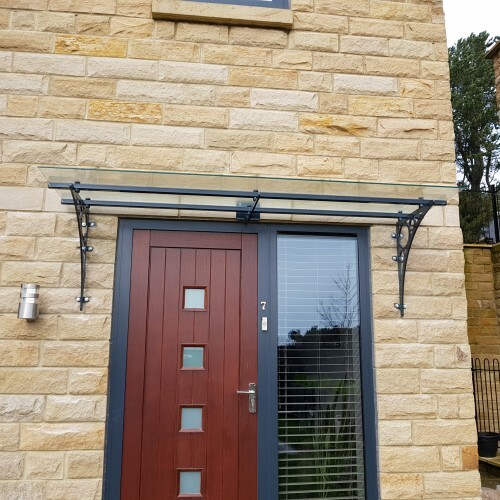 2-3 weeks lead time for bespoke variations. 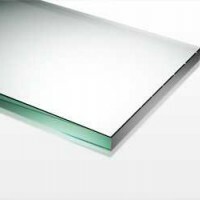 8mm thick toughened glass - Available to buy online in standard widths or contact us for a besp..